Ace the Adventure: It's Carnaval! Drink Like a Prince! I found this advertisement in out local Ablert Heijn, and just had to share it. 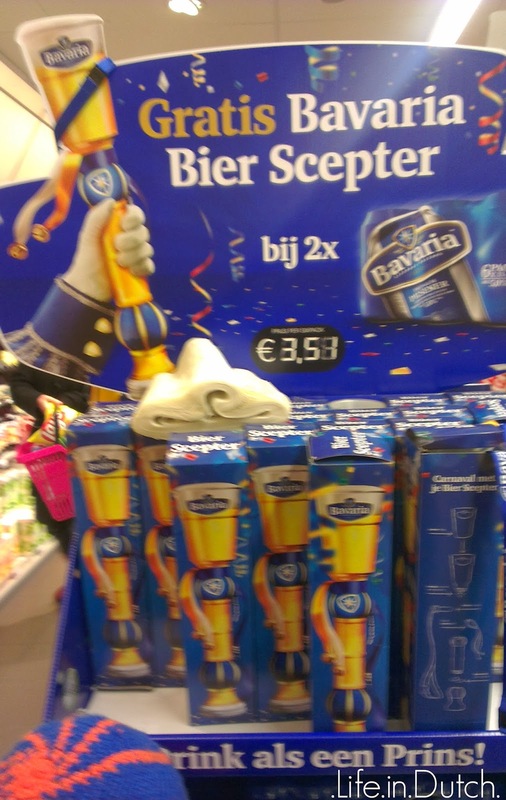 The makers of Bavaria Bier would like to remind you that with a purchase of two six-packs, you can receive a special Carnaval Bier Scepter, and "Drink like a prince!" And really, who doesn't at least secretly want one of these? So there you have it, folks. Enjoy your Carnaval, but please do it responsibly. Hilarious, every one should have one! Missed out, really could have used one of those (ha-ha), jammer! I know! I think they're brilliant! =) They even light up!